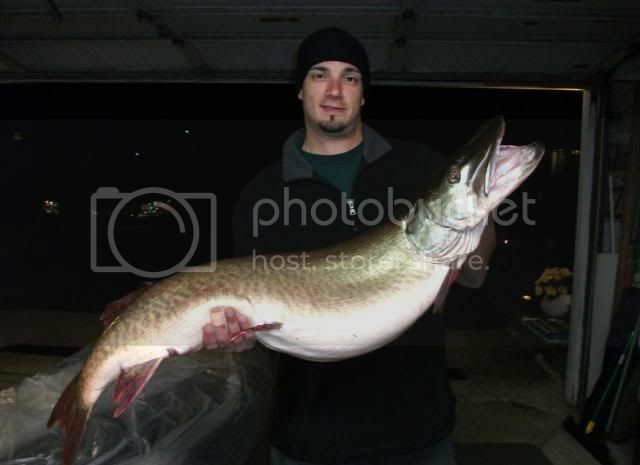 the pike in the first pictures was 35 inches, didn't get to weigh it but the funny thing is was that day i caught that same fish twice, was able to tell because its one eye was missing! 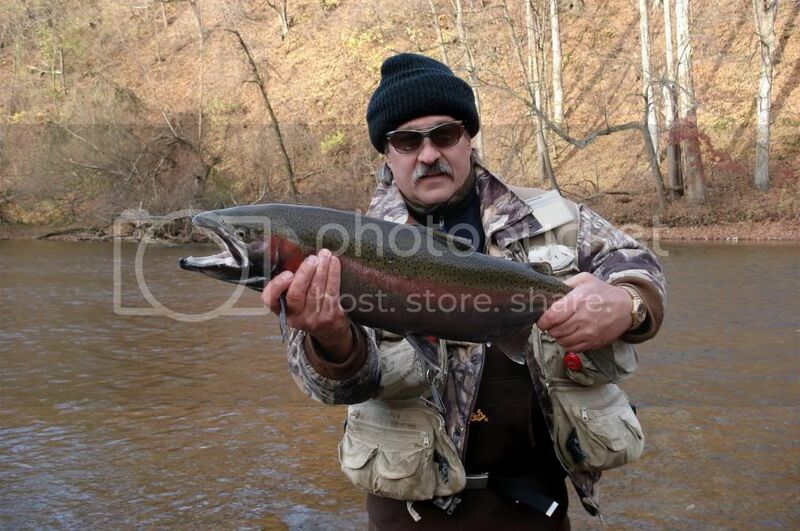 that was about 4 years ago when the fishing on shenango river was much better. 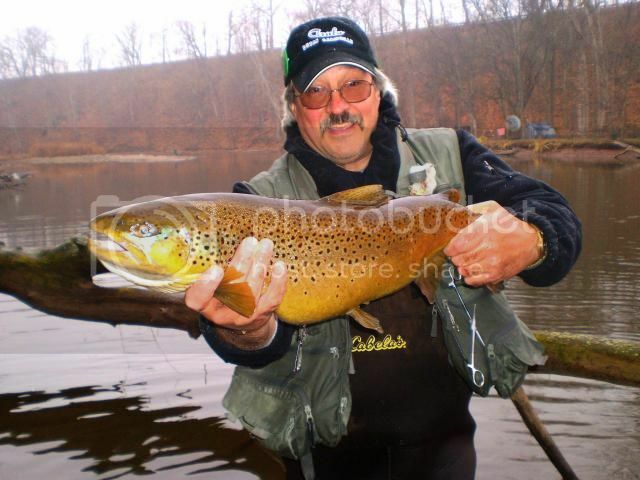 the brown trout was coincidentally my first New York brown ever, was pretty proud of that one, it was around 34 inches. also that king was on the same day, ran me down stream about 150 yards and finally managed to land it, that was also my first king. 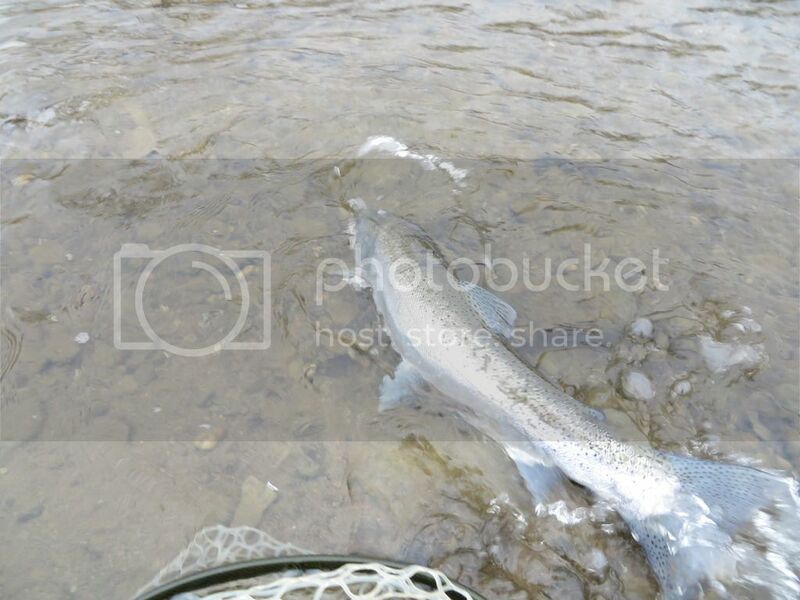 that sucker was caught in the spring time steelhead fishing, it was huge!! 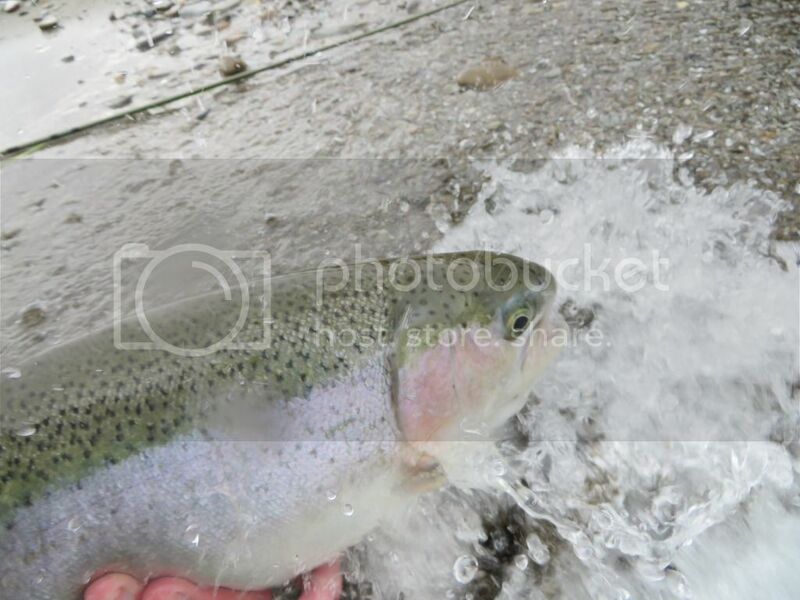 that catfish hit an egg sac trout fishing at shenago about a week ago. 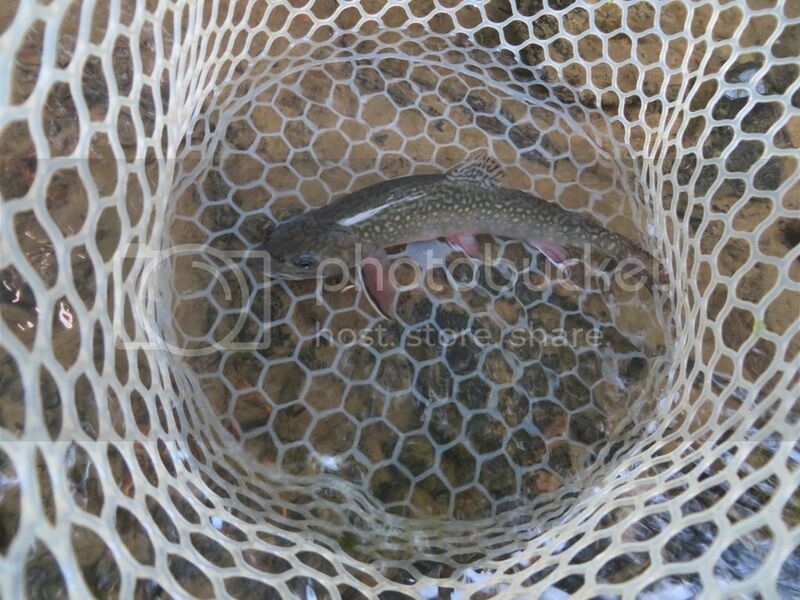 i caught a few other cats trout fishing on egg sacs that day and a few trout. 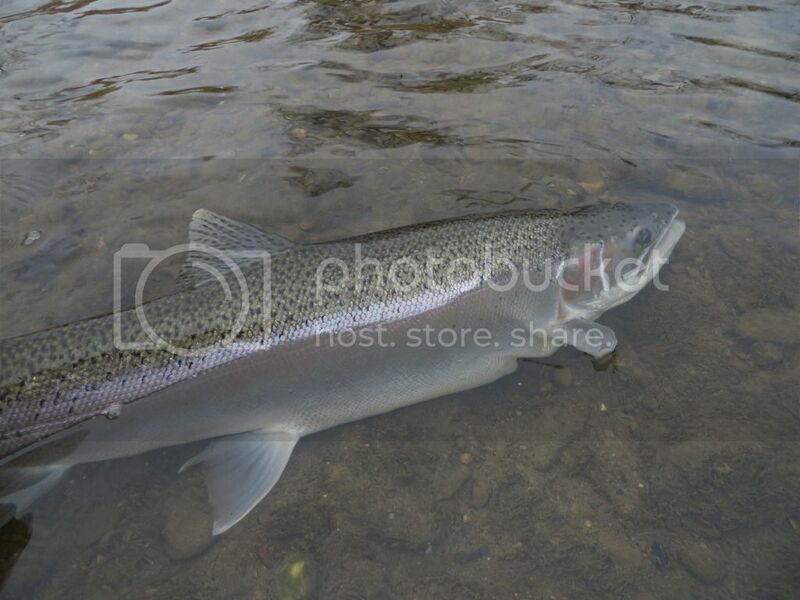 that steelhead in the last picture was last friday, not the biggest fish but still a nice one and the picture came out nice! anyways hopefully captain hook and i will be able to get out again soon! Yeah, I'd say ya might be starting to give the Capt. a run for his fish but, ya got a ways to go. Thanks, for the story and, good pictures. Keep em coming. PS. Looks like you have an expert mentor teaching ya some sound advice but, even the best instructor, can't be successful without a good student. PSS. He's passed on very helpful advice I have used with success; except, that hooie about gettin outa bed before sunup. Very nice fish JAT ! 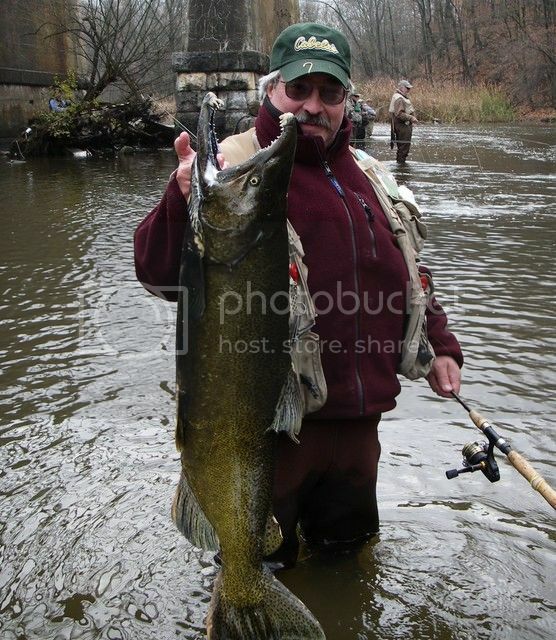 I like that big Shenango Pike you got me beat there for sure on that one . Your going to take the "Title Belt" off me someday I can see that coming ! LOL.....good luck up N.Y. Bring back some photos. Tell Shawn try the Niagara sometime . He might (as in time) catch you on the fish Captain but, the pictures ain't gonna happen. Keep em comin fellas.............. corns-a-poppin! Come on captain lets see some of those Musky pics! Thanks ...You guys are a good bunch ! Just having fun since the fishing for me was way to slow past Sunday. I'm no Al Linder but I've put a lot of fishing time in over the years. I've learned a lot but even at that I've been skunked a lot too! Persistence and patience, usually pays off...... and maybe a little luck, with a mix of good weather helps. 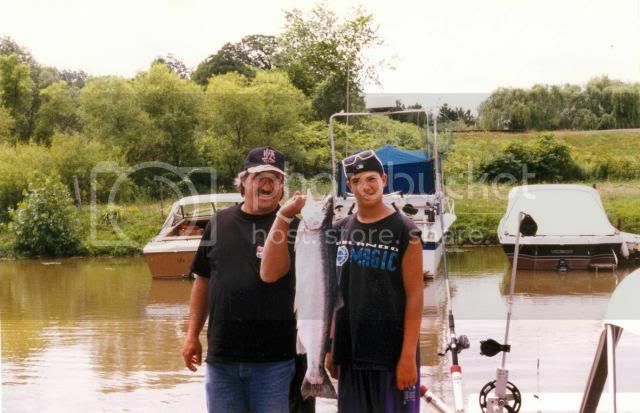 Young JAT is going to catch a lot of nice fish in the future and has already proven he's a top notch fisherman. I'm sure we'll be seeing lots of fishing photos in coming years. I can't say enough how glad I am for carrying those cameras throughout the years especially now that I'm much older. Today we are blessed with these pocket digitals, and phones, not that big 35mm Cannon I carried around for years. Those past photos of us frozen in time are just too precious not to have taken! Always pack that camera boys you will never regret it....never ! 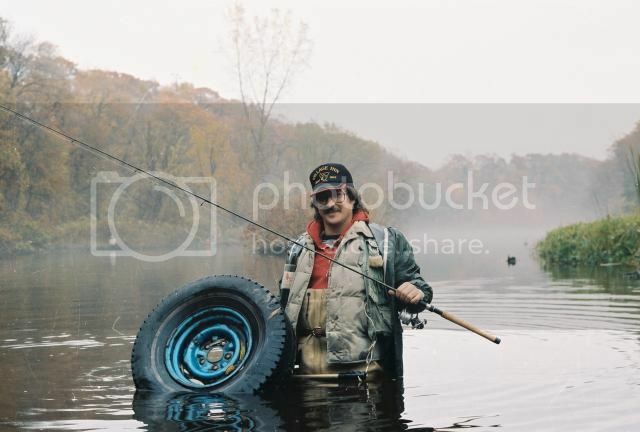 Oak Orchard Creek 80's full of fish and tires ! Hey Captain I'm learning and taking your advice too! LOOK, it's 7:30 AM and I'm out of bed. (probably 7:45 am by the time I get this stupid comment on the board) Any advice on how I find; this early in the morning, where I last parked my boat .......? Geez.......... the sun ain't even up yet!!! 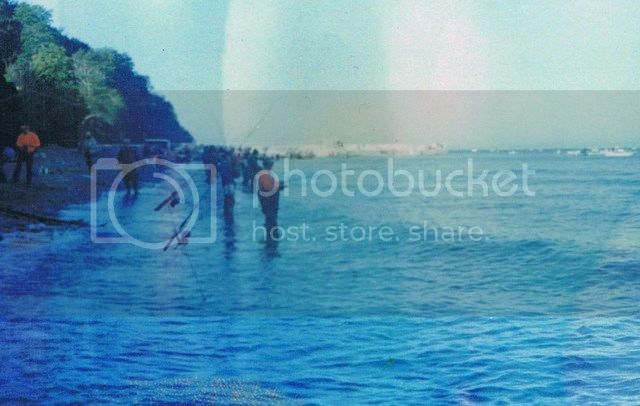 Uhhhhhhhhhh, now that I look at the pictures again, most of the time, you ain't in a boat either! I'm impressed ! Remember persistence pays off..............sometimes. heading up to ny this weekend, prob gonna fish oo and maybe 18 mile, hopefully ill be able to get into some browns and kings! still waiting on my own muskie tho... persistence will pay off... hopefully. I'm a photo nut.... can't help it. Good luck JAT....see ya when you get back ! 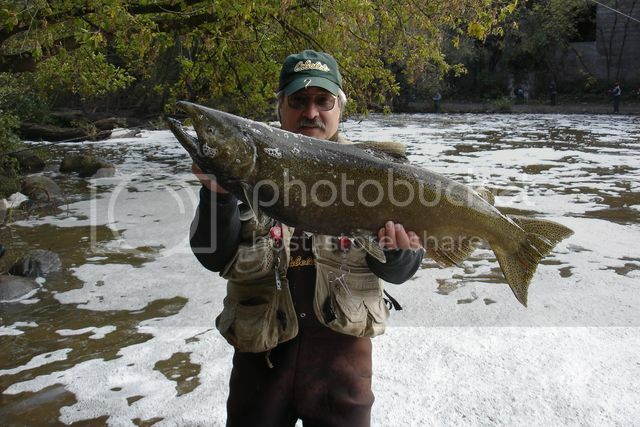 Tell the meat man when he can catch fish in the Niagara he'll move up a notch on the scale ! Good old Burt Dam...aka...18 mile....combat fishing at it's finest but it's stacked with fish ..... but that's not the true 18 mile in NY. 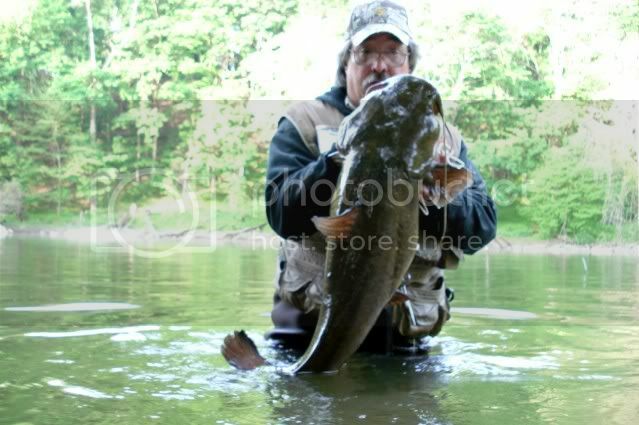 I would never............ ever................. go fishing for the fish I'm seein in these pictures.... never! I don't own a big enough net. And sumpthin else too............... the sun ain't up at 3:30 am, neither! What's up with that? 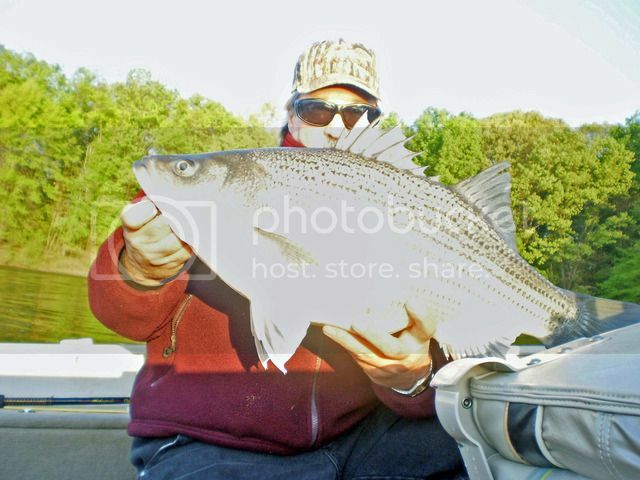 I remember those snagging days on the NY creeks. 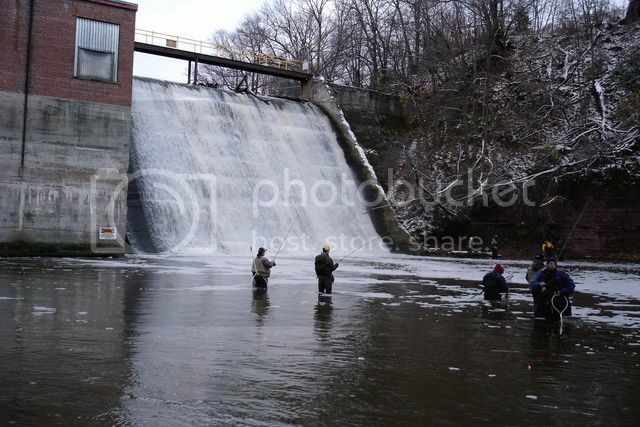 We never snagged because we mainly chased Trout after snagging season. 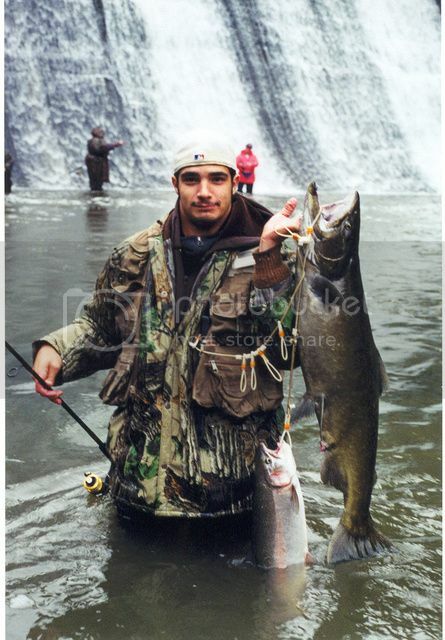 Those weighted trebles were bad news not only to the Salmon but fishermen as well. 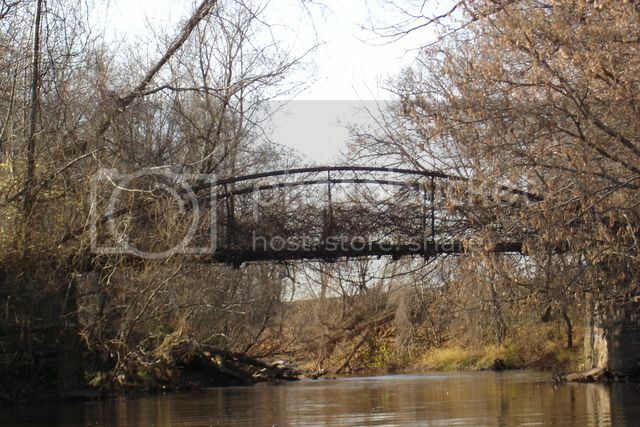 Made me sick to see all those dead huge Brown Trout laying in the creeks back then. This is almost unseen now days. This little amount of fishermen at Burt. 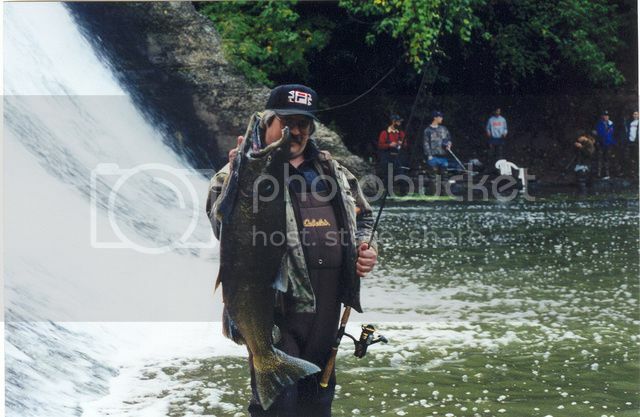 It's the late 80's in this photo....keep fishing Ed no crowds coming for a few more years ! 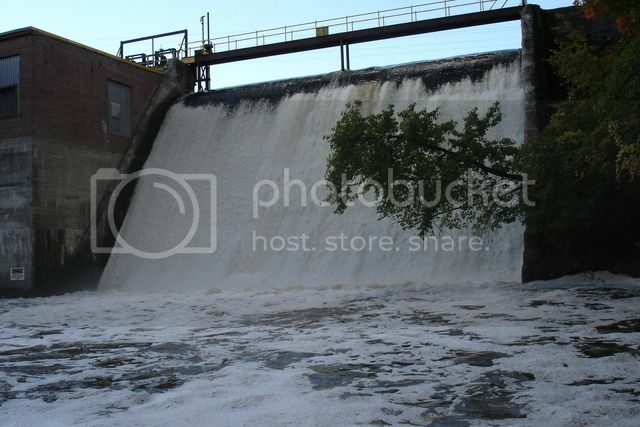 Lots of water in those days! 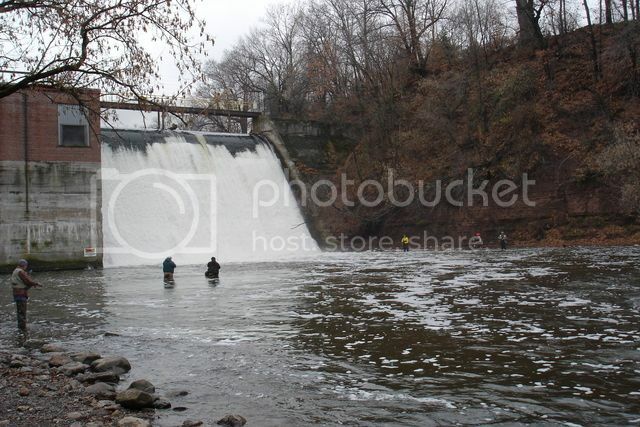 Mystery fishing hole .......What NY creek is this ? I had 2 cottages on 18 mile for 8 years. Fish and hunted that many times. Great place to pike fish also. My buddies have been up there all this week fishing. Very few people and water is low but they are still catching some beautiful fish. Still own a couple lots by the marina. may retire there someday. the new York taxes and left wing guns laws chased me out. too bad because it is beautiful place to hunt and fish. great memories! 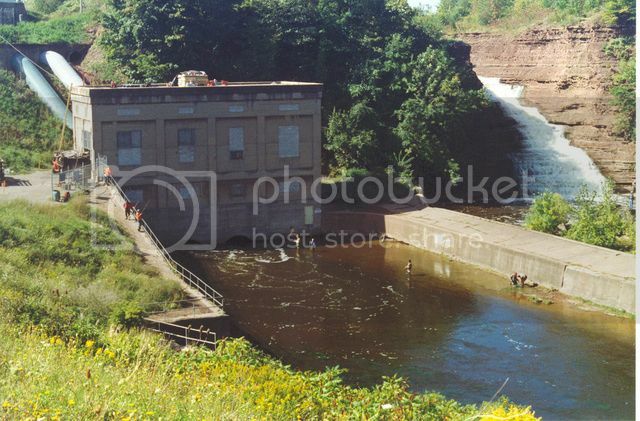 did you ever fish 18 mile above burt dam. i always wondered what was up above. 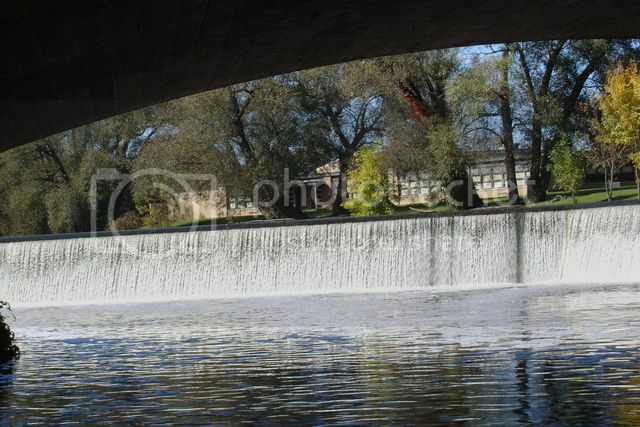 looks good but i never fished there and never could find anyone that fish above the dam. 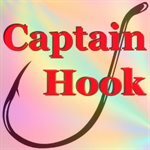 I never did or knew anyone that fished it..... looks great for Bass or Pike. How about a few present photos...........I haven't been around here in years...lots of good old past memories here ! 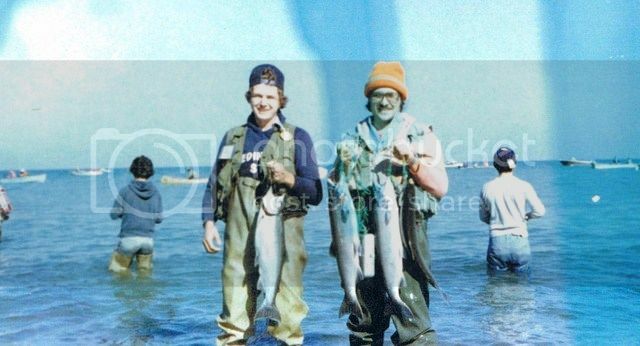 Me & Kevin at Trout Run early 80's Coho Salmon only in those days....ck. out all the boats! Great pictures I learned something new thanks ! Mercury jet, & Tohotsu prop. Lowes boat, ST. Croix poles Shimano reels . 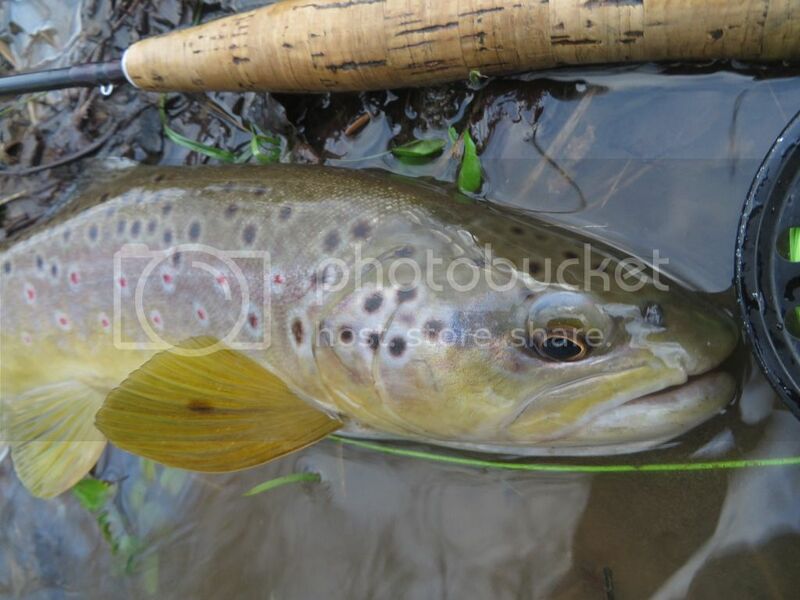 Beautiful shots as usual Trout Guy nice species mix too ! # 5 got me wondering.....little Tiger or Pike ? 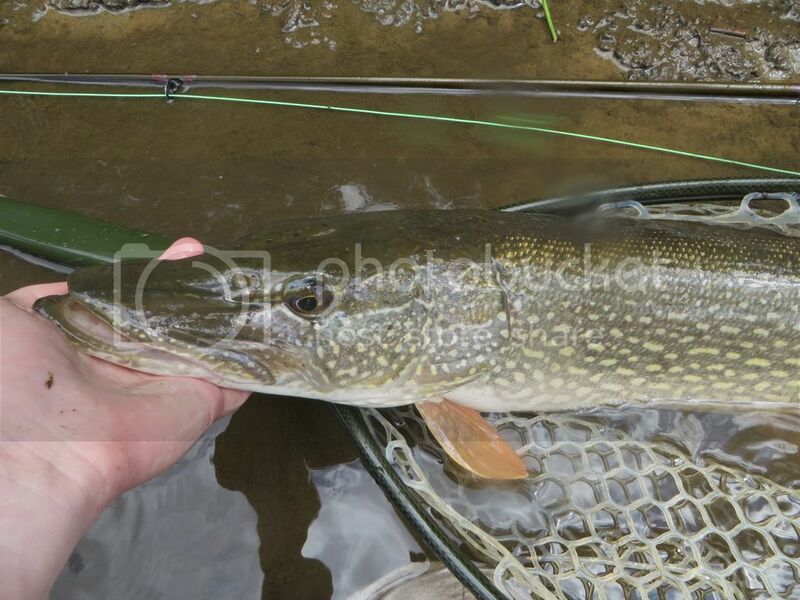 I almost said Pickerel but the chain sides were not as distinct . Great catch ! 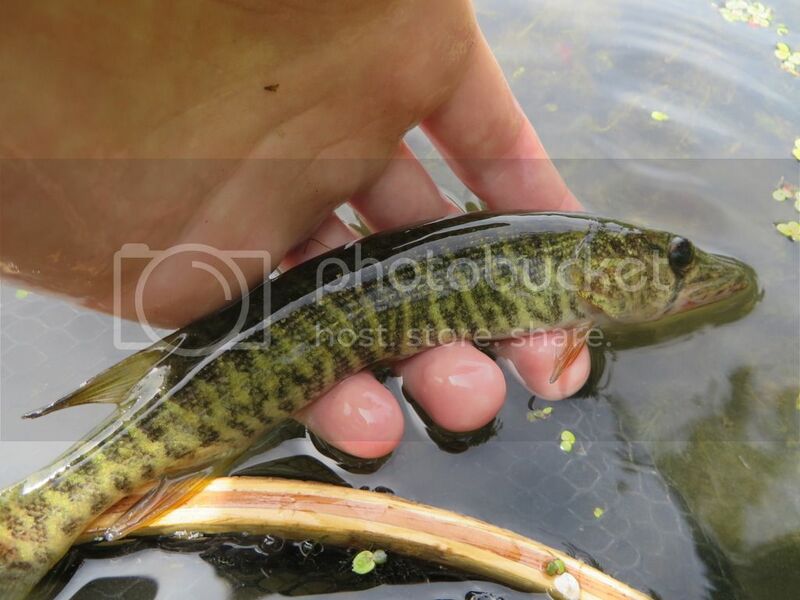 I've got a list of never caught fish too and Pickerel are on it. Bowfin , Gar , Tiger Trout , Sauger, I'm sure the list is longer. 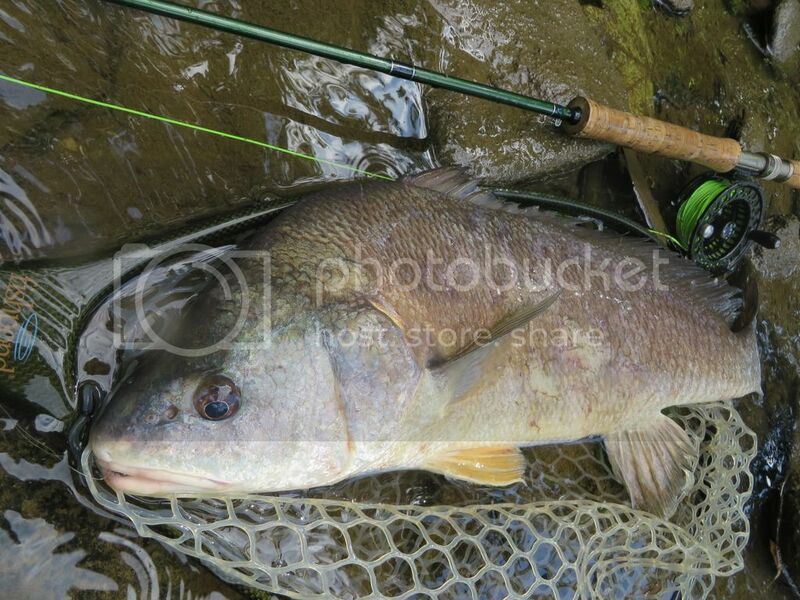 One strange one I did catch on a rod by accident locally was a Golden Shiner. It was as brassy gold as I've ever seen, never seen or caught another one in our area. That sounds like a new thread ! 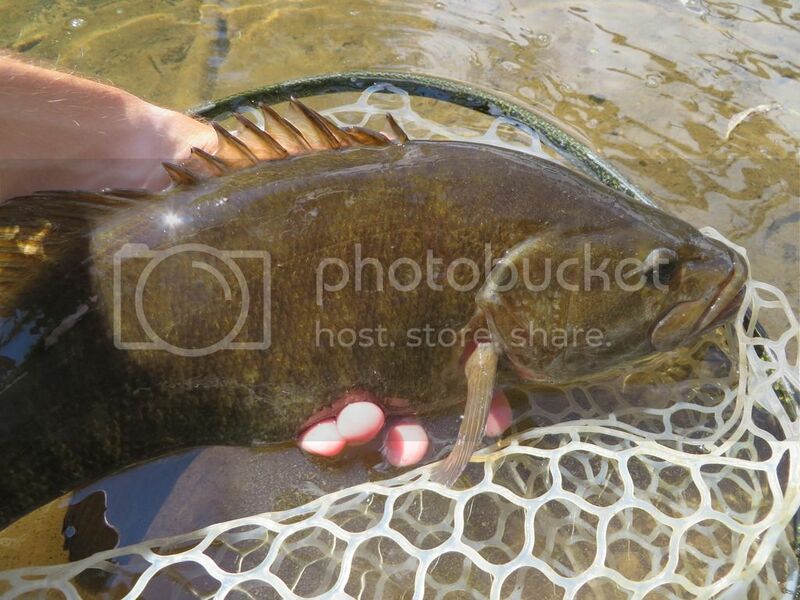 Strange , rare , or different looking fresh water fish caught in our areas . Nice Walleye.............that's a trophy around here !